Observations of a 'single' electron apparently splitting into two independent entities -- so-called quasi-particles -- are reported in this week’s Nature. 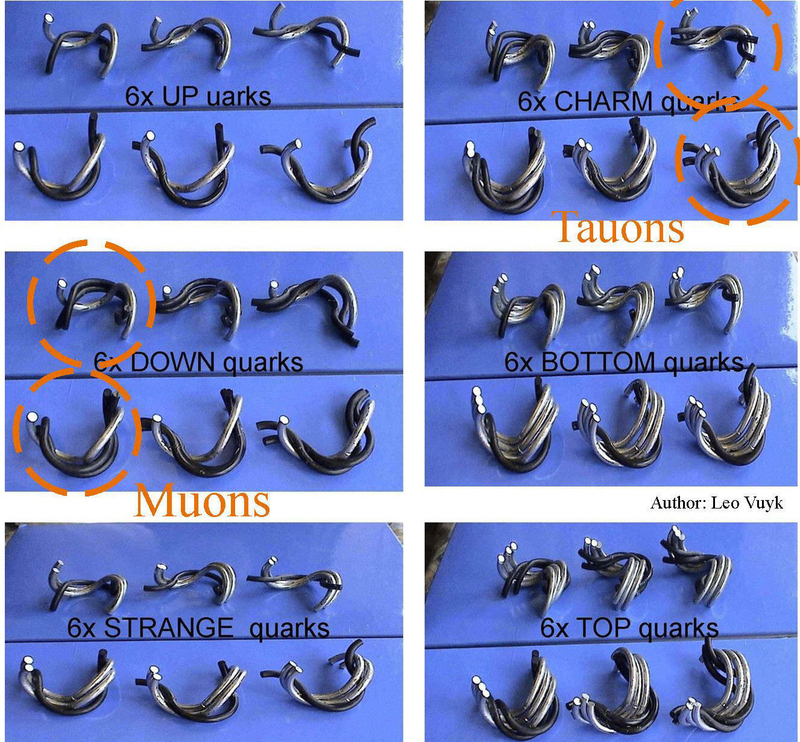 According to Quantum FFF theory, each elementary particle has 4x hinge connected parts. So the electron should even be able to split into 4 parts, if not only ONE- but all 4x hinges of the Higgs particle are able to transform into splitting points. 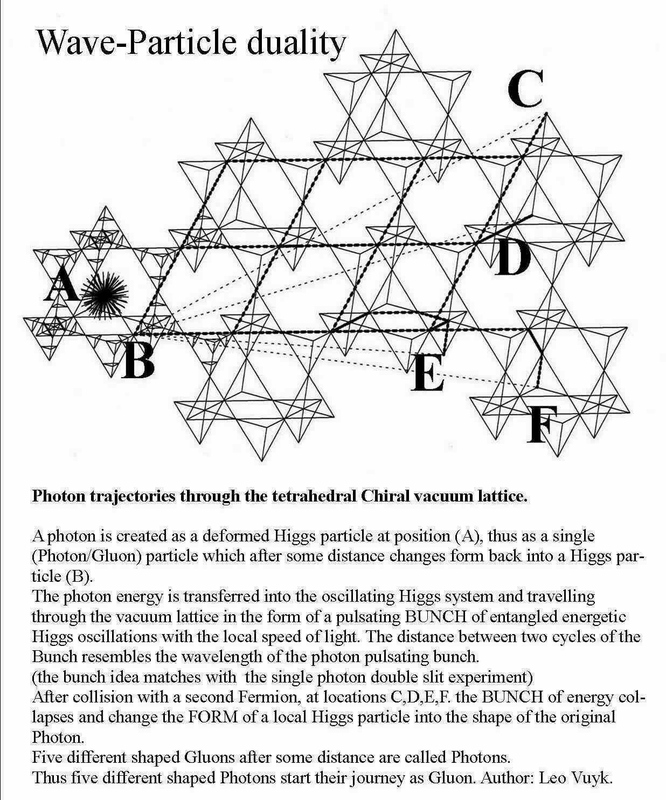 According to Quantum FFF theory, the vacuum has chiral abilties by massless Higgs particles oscillating along a tatrahedron shaped vacuum lattice equipped with a slight chiral structure. 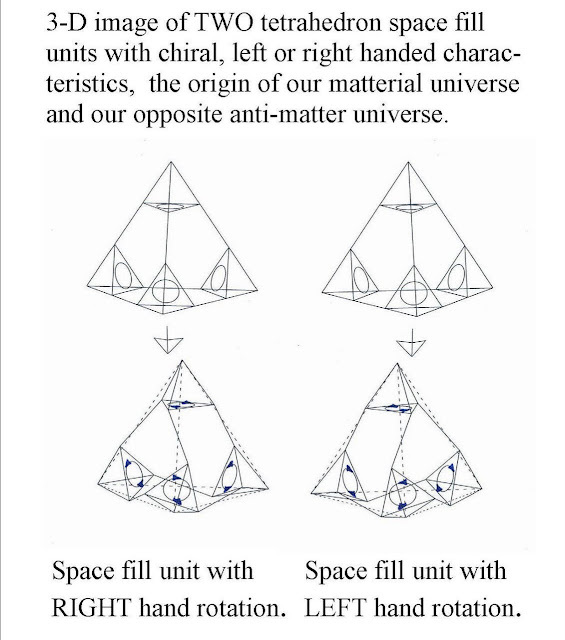 Construction principle of "chiral atoms of spacetime geometry"
WE ARE here thanks to a curious imbalance in the universe. " "It is one the biggest mysteries in physics - where did all the antimatter go? Now a team of physicists claims to have found the first ever hint of an answer in experimental data." "According to our current picture, the big bang produced both particles and antiparticles in equal amounts, most of which mutually annihilated to release energy. At some point, some unknown factor must have led there to be slightly more particles than antiparticles"
Theoretical Physicists Probe the Majorana Mystery 08-02-2012. The Majorana particle's form according to Quantum FFF theory. Can we be sure that the Majorana is a Fermion? 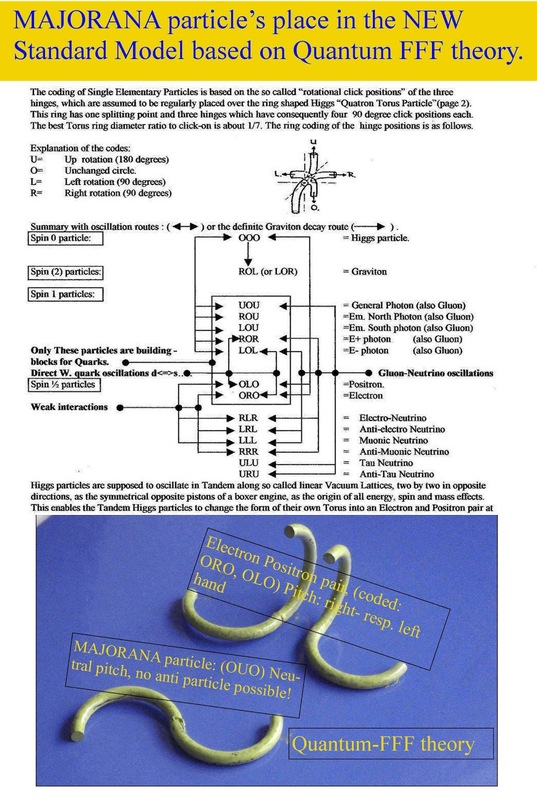 According to Quantum FFF theory the Majorana is not a Fermion!! because it has a different middle hinge in the (U) position and not in the (L) or (R) position which is needed for the characteristic double spin of Fermions. The Majorana shape is supposed to be the result of a transformed or converted Fermion, especially a converted electron or positron! The shape shifting is simply the rotation of the middle hinge of both particles by 90 degrees!. So the transformations are: ORO into OUO and OLO into OUO. 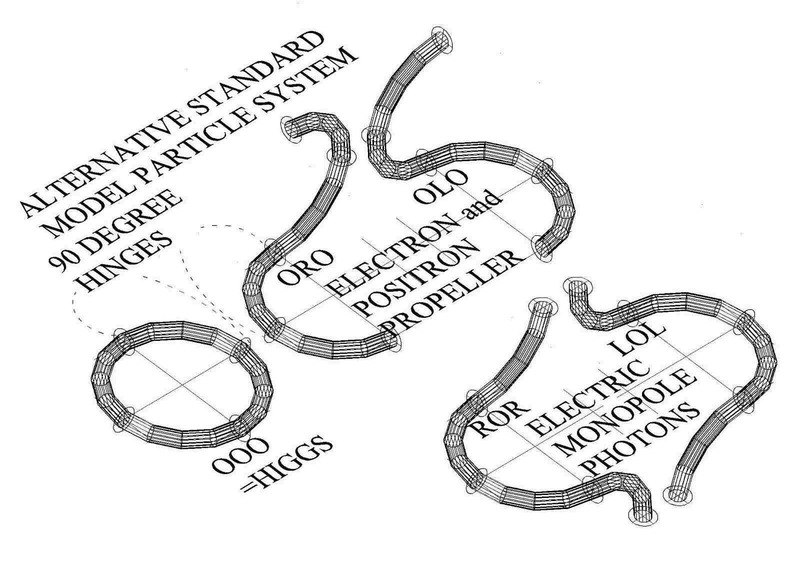 This rotation is supposed to be done by the intervention of TWO opposite oscillating Higgs particle rings forming a kind of lasso, each around one of the eletron-/positron arms. 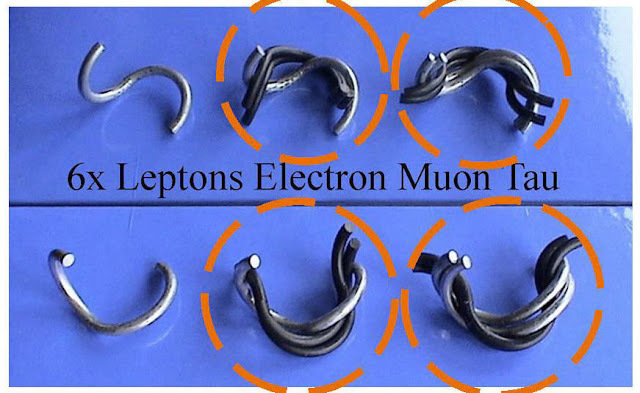 As a result, the Majoran has an (S) shape has NO pitch or Chirality, but it can have spin, which is supposed to be very chaotic, but in harmony with the second (or more) entangled Majorana particles. 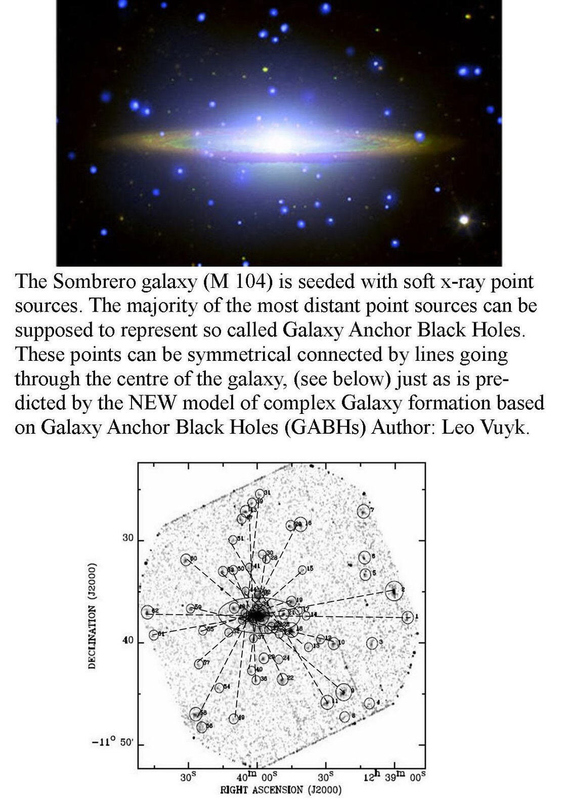 Our Galaxy seems to be surrounded- just like the Sombrero Galaxy- by numurous medium sized (Super Nova related) black holes. 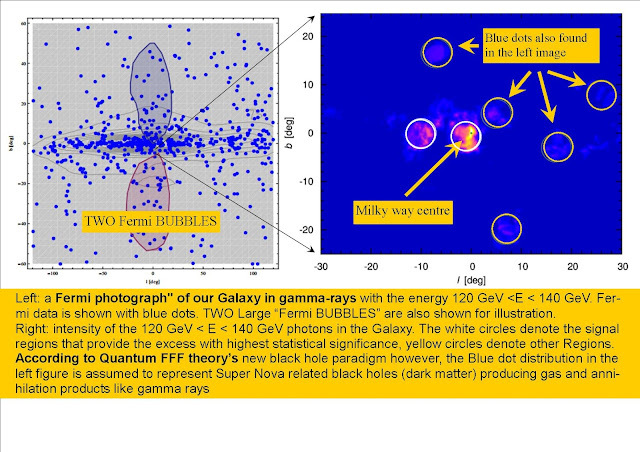 Fermi 130 GeV gamma-ray excess and dark matter annihilation in sub-haloes and in the Galactic centre. Galaxy Anchor Black Holes (GABHs) responsible for concentration of dark matter inside intergalactic space. 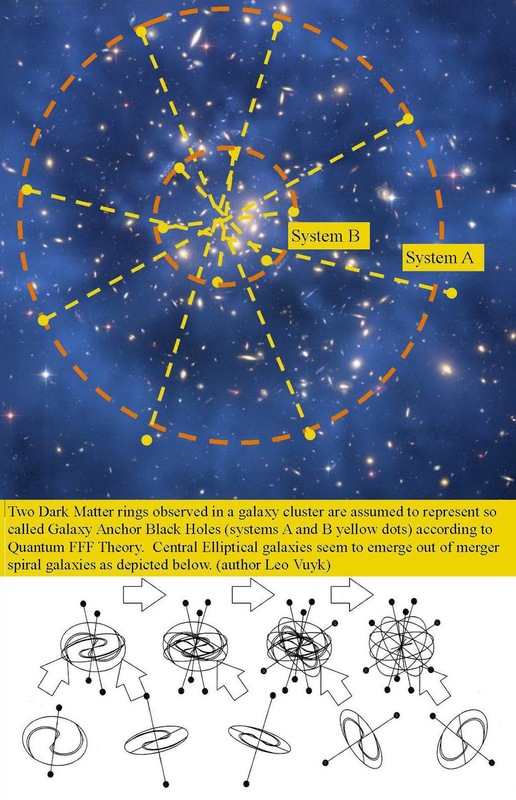 It is well known that there is a large amount of unseen matter called "dark matter" in the universe. It constitutes about 22 percent of the present-day universe while ordinary matter constitutes only 4.5 percent. An important question still remains - Where is most of the dark matter in the universe ? 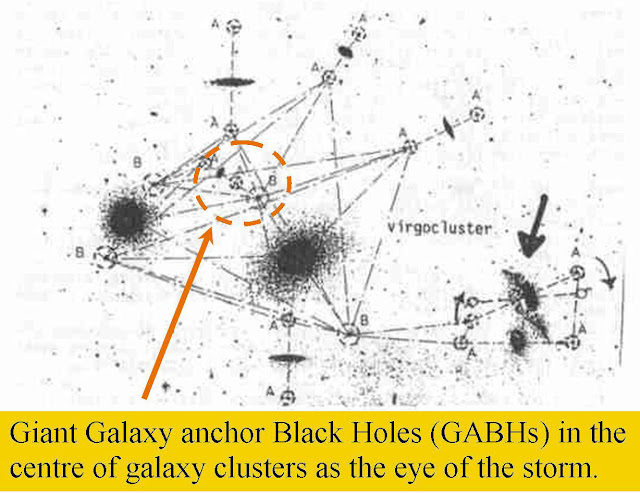 Simplified example of GABH (dark matter) distribution in the Virgo cluster. 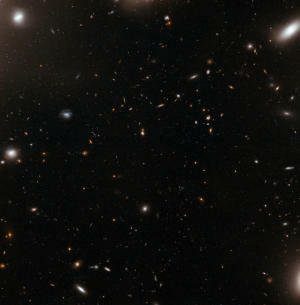 Hubble Sees the "Eye of the Storm" in Galaxy Cluster. ScienceDaily (May 7, 2012) — A new image from the NASA/ESA Hubble Space Telescope could seem like a quiet patch of sky at first glance. 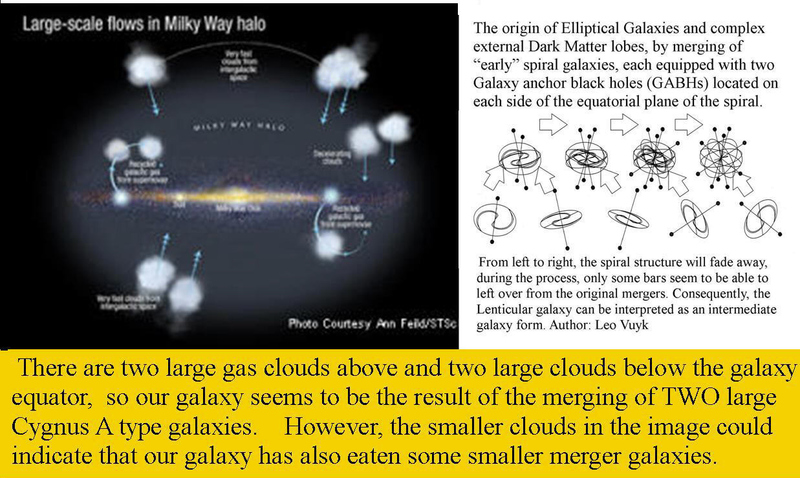 But zooming into the central part of a galaxy cluster -- one of the largest structures of the Universe -- is rather like looking at the eye of the storm. The Sombrero galaxy is an example of how large- and smaller GABHs (dark matter black holes) are spread around the galaxy. and e-e+ annihilation in Quantum FFF Theory. ScienceDaily (Apr. 24, 2012) — While some galaxies are rotund and others are slender disks like our spiral Milky Way, new observations from NASA's Spitzer Space Telescope show that the Sombrero galaxy is both. 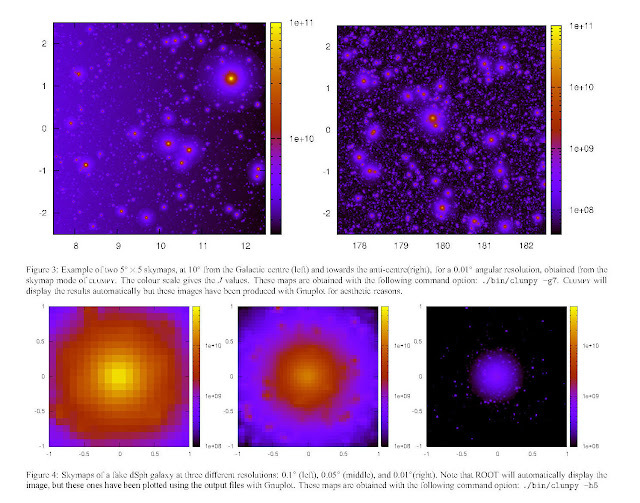 We present the first public code for semi-analytical calculation of the γ-ray flux astrophysical J-factor from dark matter annihilation decay in the Galaxy, including dark matter substructures. The core of the code is the calculation of the line of sight integral of the dark matter density squared (for annihilations) or density (for decaying dark matter). The code can be used in three modes: i) to draw skymaps from the Galactic smooth component and/or the substructure contributions, ii) to calculate the flux from a specific halo (that is not the Galactic halo, e.g. dwarf spheroidal galaxies) or iii) to perform simple statistical operations from a list of allowed DM profiles for a given object.